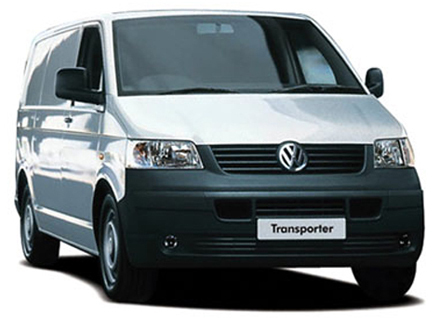 The reliable Transporter range of vans have been around more than half a century, and have perfected their competent commercial vehicles over the years. With more than 8.5 million produced, you just know they’re getting something right. Whilst on the road, whichever version VW engine you may have, you’ll feel the power – although if you are participating in more heavy work, the 2.5 TDI is recommended. You will be surprised to hear that there is minimal vibration, thanks to the excellent engineering gone into this van, an extra plus to consider when purchasing this van. The VW makes it easy for you to carry cargo, it features twin rear doors, two sliding doors and a low sill. Did you know that you can even choose from 3 roof heights and two different wheel bases? With low revs and high torques the Transporter has a respectable level of fuel consumption, which is quite rare for a van in its class. Inside the van you will notice many well placed features inherited from the VW passenger cars. The instruments are all clear and understandable with a useful blue-backlighting, and one thing you will notice is that the gearstick is positioned in the centre of the dashboard rather than on the floor, providing an easier driving experience. It’s a big van but handles very well and has a few comfort features to make you feel at ease such as air conditioning, a large glovebox and generously sized cup holders. Despite the fact that you won’t find any frills in the cabin, it is fair to say the driver will find everything they need. To reassure your safety concerns, every model of the Transporter comes with ABS, 3 point seatbelts (with height adjustment), plus a driver’s airbag. You can also take comfort in the remote control locking, deadlocks and transponder immobilizer. Got a VW Transporter to sell?